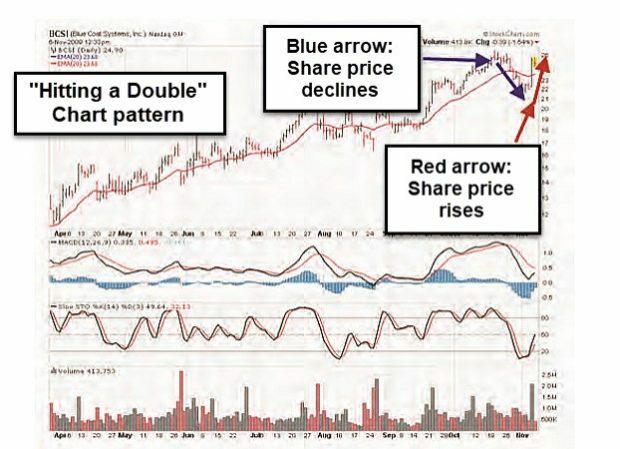 One of our BCI covered call writing exit strategies is titled “hitting a double” This opportunity arises when share price declines after a covered call position is opened, short calls are bought back using our 20%/10% guidelines and then the same option is re-sold when share price rises. This article will highlight how to use the multiple tab of The Ellman Calculator to update and monitor our positions when implementing this position management technique. The screenshot shows the trade adjustments on different lines. In real-life trading we can simply adjust the top line in the spreadsheet. The “hitting a double” exit strategy has 3 legs that can be monitored using the multiple tab of the Ellman Calculator by adjusting the net option credit during the life of the trade. Final results (realized or unrealized) will be calculated when stock price at expiration is known. For a real-life example of “hitting a double”, click here. My name is Francesco, Italian national living in UAE, commercial airline pilot, 34 years old. I have been following your blogs and videos for some time and I have been really impressed, thank you so much for your work! The feedback I have seen on BCI has been truly amazing! It would be an honor to meet you some day! How can I find out if a stock is standard or non standard?